Orlebar Brown makes swimwear of the highest quality, with cool details like adjustable engraved side fasteners and an included waterproof draw-string bag. Wear on and off the beach---just make sure you're fit enough to sport them. 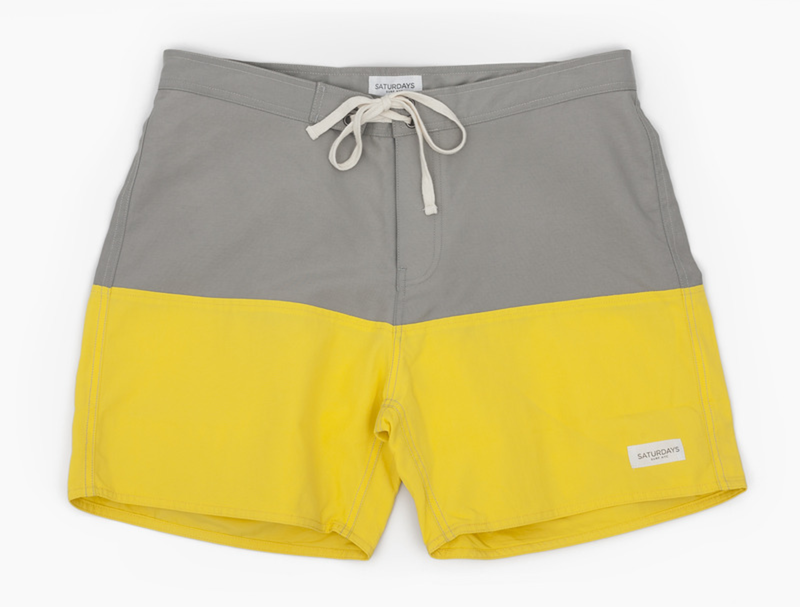 My buddies at Wellen make some of the best beachwear around. One of their newest releases is the Sunset Trunks, made with 100% brushed polyester with a slightly more relaxed (but not too relaxed) fit. They're a great option come summertime. 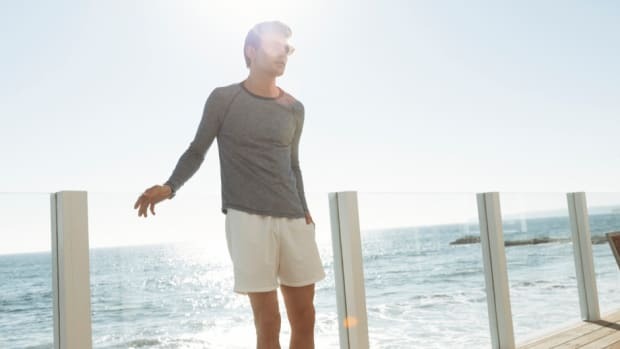 Goodlife makes terrific basics, and that passion for well-cut and high quality shirts translates to their swim trunks as well. Its got a simple and modern cut that any dude could pull off and nice finishings like a matte coconut button on the back pocket. 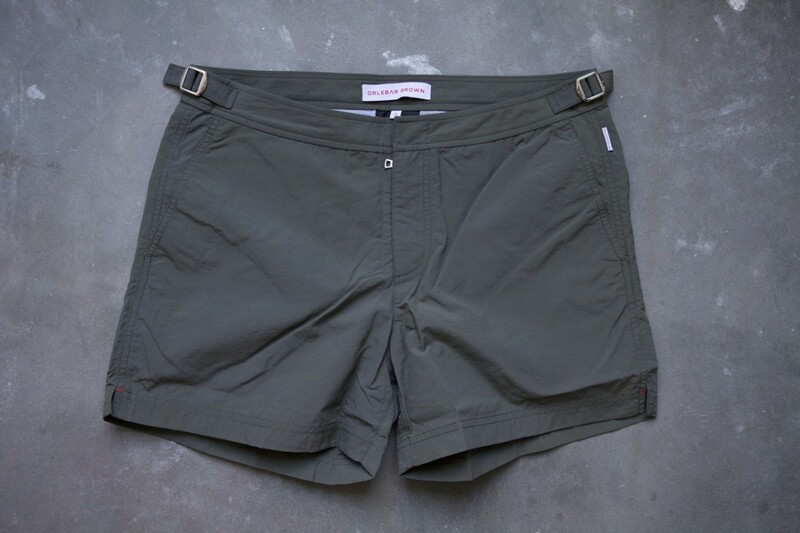 With a fit inspired by the classic chino, these lean and mean trunks from Onia are some of the best in the business. It has high end finishings like antique nickel snaps, Ideal™ zipper, and the softest mesh found in male swimwear. Simple, cool and retro-inspired. That pretty much sums up the offerings from Saturdays Surf NYC---the best of which is this yellow/grey jam.